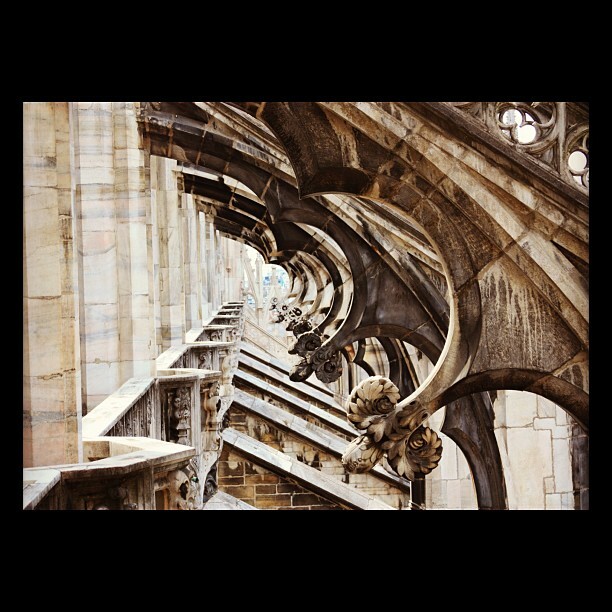 Picture of the roof of the Duomo di Milano, Milan Cathedral. Picture taken via Instagram. Love it all. I feel like I am there. I am getting such an education.